I first bought Pipedream in 1973 because I liked the cover. 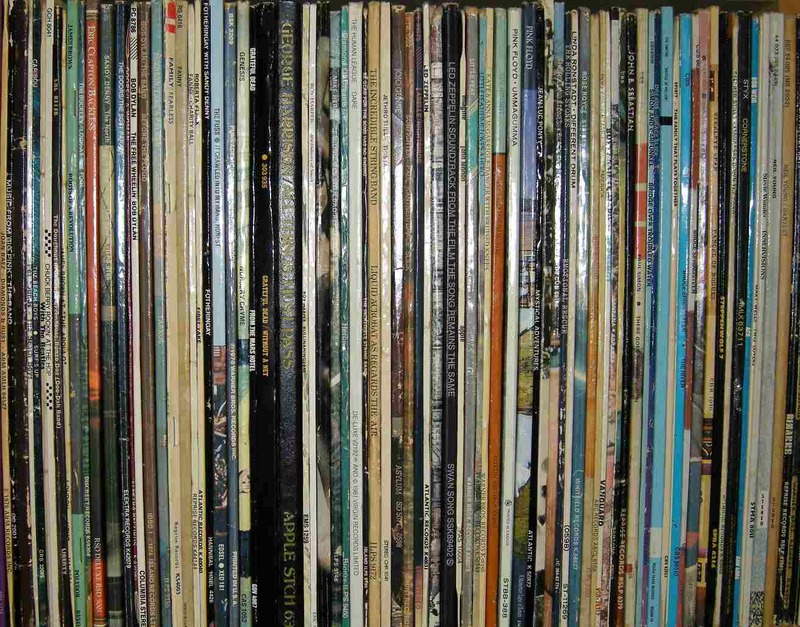 “Buying blind” – purchasing an album solely on the basis of the artist’s reputation and what one could glean from the sleeve – required both teenage instinct and gumshoe detective work (i.e. reading the reviews). It was always a gamble but it was also necessary from time to time in those days long before Spotify. I knew and liked Lindisfarne – largely thanks to their Top 10 hits Lady Eleanor and Meet Me On The Corner, and the lesser hit, All Fall Down – but their frontman Alan Hull’s first solo album looked to be something slightly different. Pipedream came packaged in a sleeve that featured a mysterious painting by the surrealist René Magritte, “La Lampe Philosophique”, a shifty-looking man whose nose curved downwards and disappeared into the pipe he was smoking. I reckoned it would be a departure from the folk rock of the band Hull was on the verge of leaving and I was intrigued. From the only review I’d read, it certainly sounded promising. “Like Lennon he has that Northern bite which makes Pipedream a reality,” shouted the NME. With Lindisfarne’s Ray Jackson and Ray Laidlaw on board, and showcasing Hull’s sharp songwriting, Pipedream was a natural progression from Lindisfarne and is full of pathos and passion. Hull’s favourite subjects – drinking, relationships, politics – are brilliantly explored in vignettes such as Breakfast, a morning-after tale of waking up with a mistress, Money Game, Song For A Windmill and Country Gentleman’s Wife, inspired, according to Hull, by the posh housewives he met back in the sixties as he cleaned windows in one of Newcastle’s richer quarters. There’s not really a bad track on it. Hull was a socialist and self-appointed champion of the underdog and the songs on Pipedream and its 1975 follow-up, Squire, which again features ex-Lindisfarne sidemen, are typical of his idiosyncratic northern English take on the protest song: cautionary tales from the dole queue and the factory floor, but also the bedroom and the barroom. Taken together, Pipedream and Squire are Hull’s fanfare for the common man. The songs on Squire were originally written for a Tom Pickard play of the same name, broadcast on BBC2 in 1974 as part of its long-running Second City Firsts drama series. Hull was also cast in the lead role of Alfy, an unemployed longhair with a twinkle in his eye and delusions of grandeur. His performance was generally well received and prompted the Daily Telegraph to conjecture that he might be the first British pop singer since Adam Faith to make the successful transition to acting. That wasn’t to be, however. Here’s a short clip. Among Squire’s strongest tracks are One More Bottle Of Wine, also issued as a single; Dan The Plan, about the disgraced Tyneside politician T. Dan Smith (the inspiration for Austin Donohue, a character in another TV drama, Our Friends In The North); and Squire itself, a wonderful song Hull described as “the Union Jack with his pants down”. After the release of Squire, Hull recorded demos in 1975 at Impulse Studios in Wallsend and then joined the short-lived Radiator, who he rather optimistically fancied would be “a British version of Steely Dan”. They gathered favourable live reviews but lasted less than a year. In the later seventies Hull combined solo projects with his commitment to fronting a reformed Lindisfarne, who were back in the charts with Run For Home. His third solo album, Phantoms, appeared in 1979, on Elton John’s Rocket Records, wrapped in another Magritte painting. It was a mixed set, cobbled together from the fall-out of Radiator and including six songs that had already appeared on their sole album, Isn’t It Strange (1977). I Wish You Well is a wistful, Lennonesque love song. A Walk In The Sea is a terrific existential musing on life which dates back to Hull’s folk club roots in the sixties, although was apparently left untitled until its appearance on Phantoms. It became a live staple and recommended is the version on the excellent Back To Basics concert album of 1994, although there is also a great demo of the song from the 1975 session on the CD reissue of Phantoms. His fourth solo work, On The Other Side, appeared four years later on the Black Crow label and also came and went largely unnoticed (and is yet to be issued on CD). Meanwhile Hull’s mantle for musical agitprop was assumed by Billy Bragg and the Red Wedge movement. On The Other Side does include the splendidly wry Malvinas Melody, about the Falklands War of the previous year, a single allegedly banned by the BBC for its use of the name, and Fly Away, which has been likened to a latter-day Paul Weller ballad. Around this time Hull was filmed for a TV show, discussing his songwriting, under a poster of his hero, John Lennon. Another Little Adventure, live reworkings of earlier material, followed in 1988, otherwise the late eighties and early nineties were quiet on the recording front for Hull. He died suddenly from heart thrombosis in November 1995, during the making of his final solo album, the back-on-form Statues & Liberties. 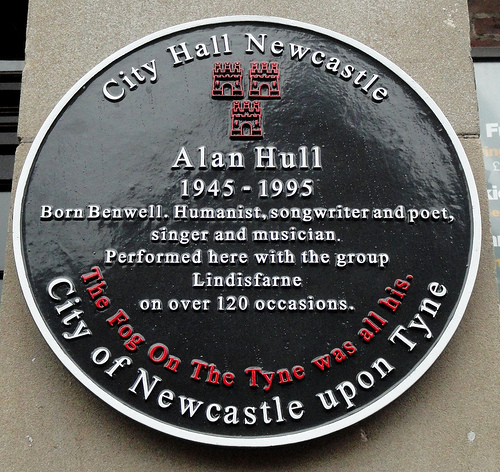 Recorded at Wildtrax in County Durham, it was released posthumously on Transatlantic – ironically the label Hull had started out on with a pre-Lindisfarne solo single, We Can Swing Together, thirty years earlier. Statues & Liberties is a solid affair which loses none of its author’s acerbic bite, featuring tales of love and money, and city fat cats and homelessness at Christmas. The standout tracks are Treat Me Kindly, 100 Miles To Liverpool, Cardboard Christmas Boxes and a re-recording of Drug Song from the Pipedream album (Hull wrote several of his best-known songs after witnessing alcoholics being dosed with LSD during his stint as a student psychiatric nurse in the sixties). They are a fitting tribute to a peerless songwriter, poet and performer and a man of principle who has been hailed by celeb fans from Elvis Costello to Paddy McAloon, and whose legacy has put fire in the belly of a new generation of political singers. As The Independent put it in their obituary, Alan Hull was a champion of the people rather than of rock star values. Rob, thanks for this great list. Have always liked Lindisfarne but have never really checked out Alan’s solo work. This list gives me the perfect place to start. Thanks again. You’re welcome Andrew. Hope you enjoy! Start with Pipedream.